EKF Life Sciences’ downstream processing applications are designed in order to address a multitude of client applications. We work to customer specifications to produce a cell paste through various intermediary fractions to the final freeze drying of final product. After the fermentation process is completed, the harvesting of the product from the fermented biomass can be accomplished by our technical team following a number of different steps. 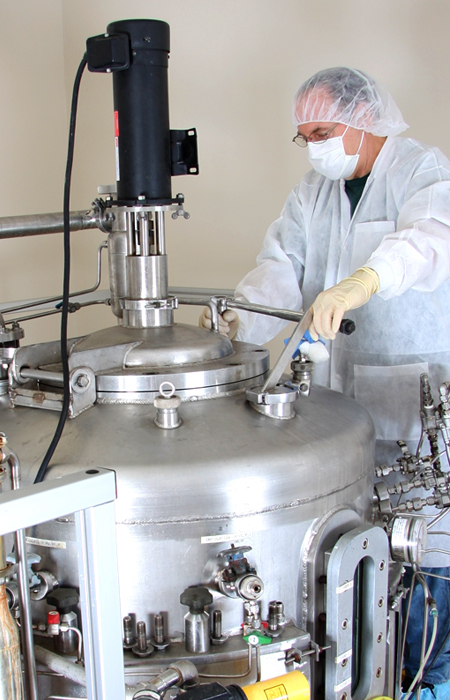 Some of our customers prefer to handle and control the high value added processes of preparing proprietary formulations and packaging of their final product. We offer limited final-fill operations and also partner customers with qualified vendors for special requirements relating to product packaging of our custom bulk reagents. Lyophilization and other bulk packaging protocols are also available depending on the scope of the project and the needs of the customer.